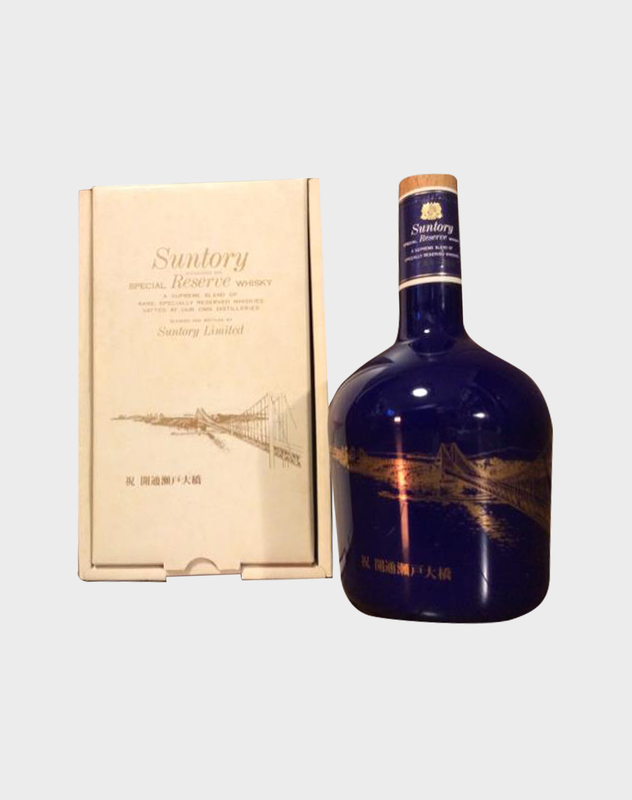 Suntory Old Whisky is a series of especially mature whisky from Suntory. First released in 1950, the company occasionally releases new bottles of this brand. 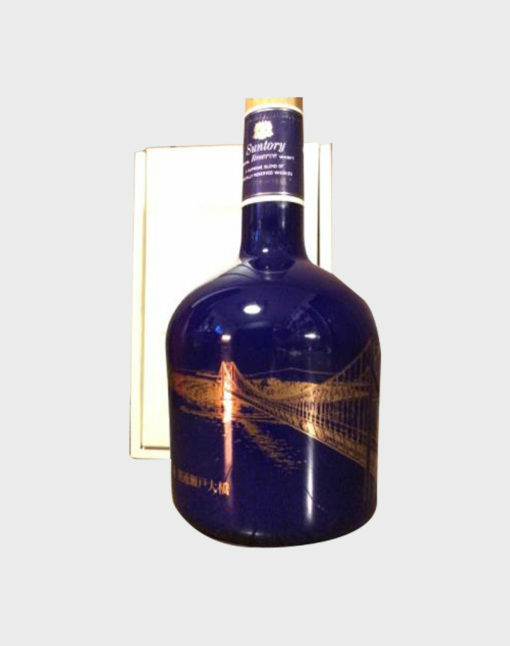 This particular whisky is a wonderful bottle of Suntory’s blended Japanese malt whisky, released to celebrate the Japan’s Seto Bridge anniversary of completion. 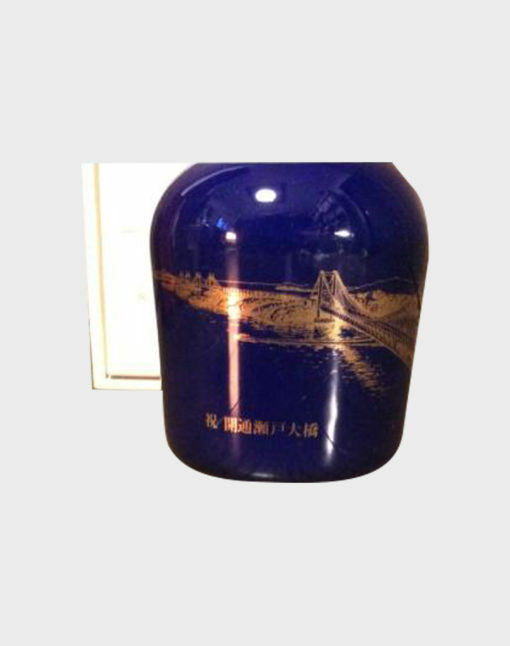 Presented in a ceramic bottle with Seto bridge illustration. 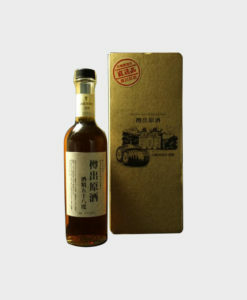 This is truly a collector’s item!